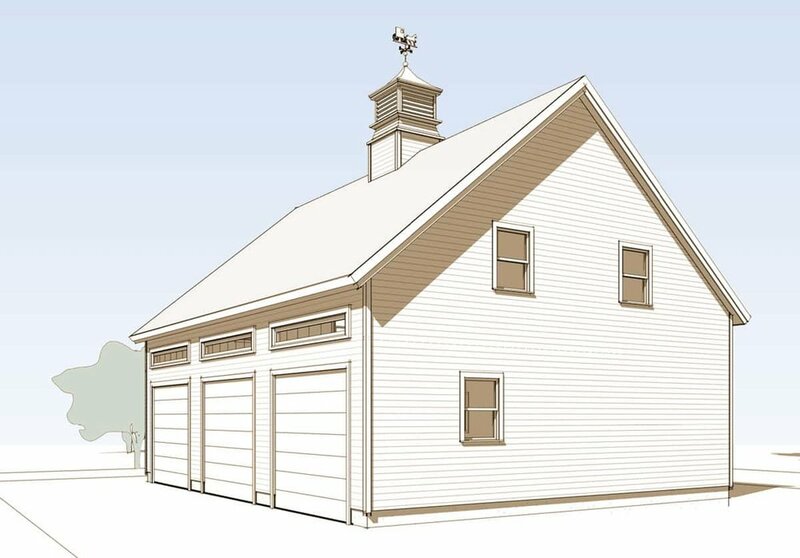 This 28’ x 36’ design comes in the shape of a historic barn, complete with a cupola, but is configured for three-bay parking. The sizable loft can be used for storage, or as a large office or workout area. Barns are where timber frame architecture first showed its usefulness. Whether you need to divide your barn into many stalls for livestock or leave it open to store heavy equipment, a timber frame barn can deliver; with no need for load-bearing walls, you can be flexible. Timber frame barns are completely at home in a rural environment. They’ve been a part of the New England geography for centuries, after all! 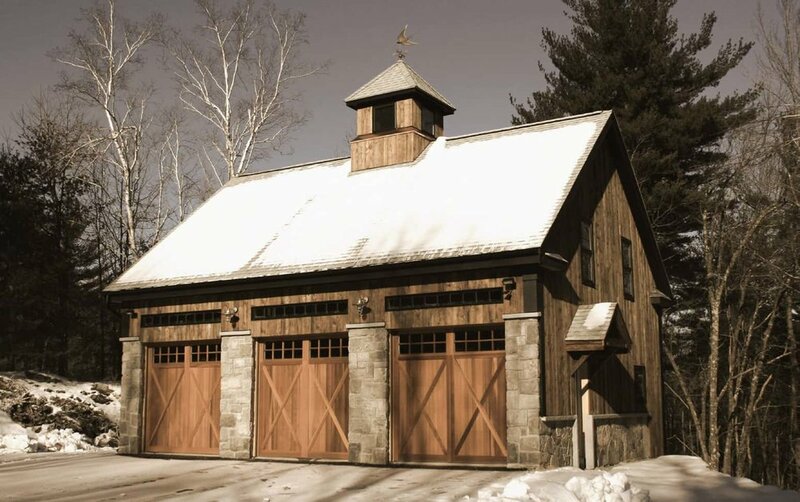 Brooks Post & Beam barns and garages are made primarily of native New Hampshire native lumber – since they’re not necessarily insulated, the walls are often made of wood shiplap. And while any timber frame structure will allow for flexibility, a barn can be even more versatile and responsive over time as your needs change. 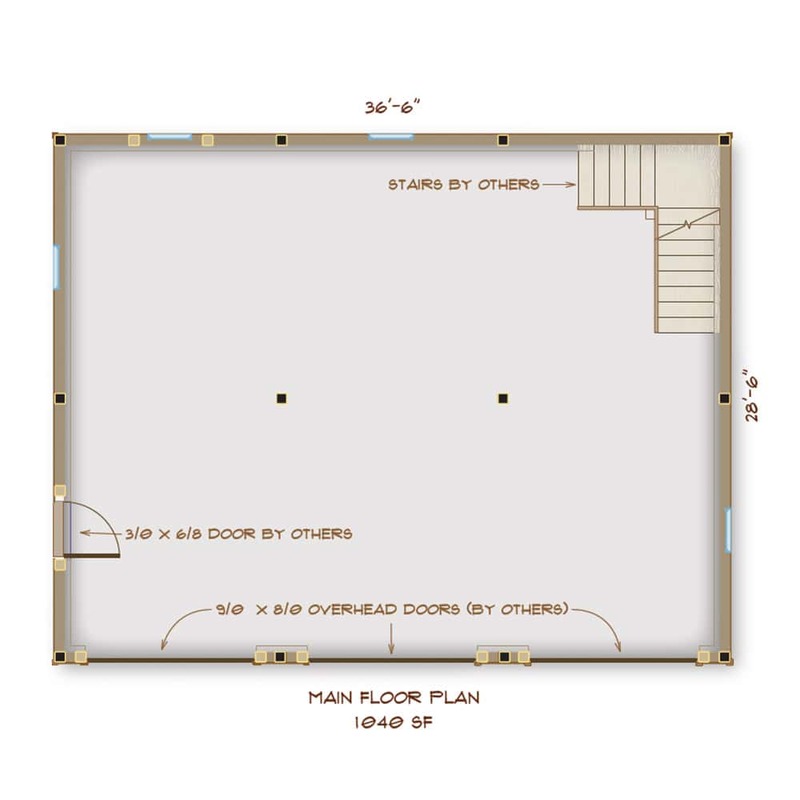 Just move the walls if you decide you want to turn your horse stalls into a parking area, apartment or art studio!